Carol Ann Morley graduated from the Medway College of Art in Kent, England with a National Diploma in Design, a terminal degree, and a speciality in Illustration. Since coming to the United States in 1968, she has worked professionally as a medical illustrator, natural science illustrator, art director and botanical artist. Her work is in both private and public collections including; The Hunt Institute for Botanical Documentation and the Shirley Sherwood Botanical art collection. Her work has been exhibited at the Smithsonian National museum of natural history, The Ashmolean Museum, Oxford and The Royal Botanic Garden, Kew, England. A dedicated teacher, Carol has been teaching art in Adult continuing education programs since 1979. She was an adjunct associate professor of art at Pace University for fifteen years, Where she initiated a program in scientific illustration and business practices for artists and received an award for teaching excellence. In 1985 carol founded the botanical art and illustration certificate program at the New York Botanical garden and was coordinator of the program for eight years. At the Institute of Ecosystem Studies in Millbrook, New York she also helped develop the certificate program in natural science illustration. She has taught drawing skills and illustration at; the University of New Hampshire CED program, The Institute of Ecosystem studies, NY, The Tower Hill Botanic garden, Boylston MA. The Phipps Conservatory and Botanic Garden, Pittsburg, PA, The Arboretum of Los Angeles, The Bartlett Arboretum, CT, New Canaan Nature center CT, The Connecticut Audubon Society and The Omega Institute for Holistic Studies. NY. 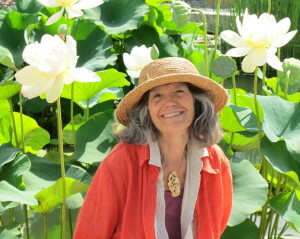 She is currently teaching at The New York Botanical Garden, Friends of Wellesley College Botanic Garden, The Berkshire Botanic Garden and Sanctuary Arts, Eliot Maine. Carol resides in Milton, NH where she is a freelance artist specializing in drawings about nature. She is member of The guild of natural science illustrators, The American society of Botanical artists and an invited member of the Brooklyn Botanic Garden Florilegium Society.